Launching on September 22/23 2018 at the New York Denim Days event. Clockworks Press® combines contemporary design and sustainability to create unique, eco-friendly denim garments and accessories. 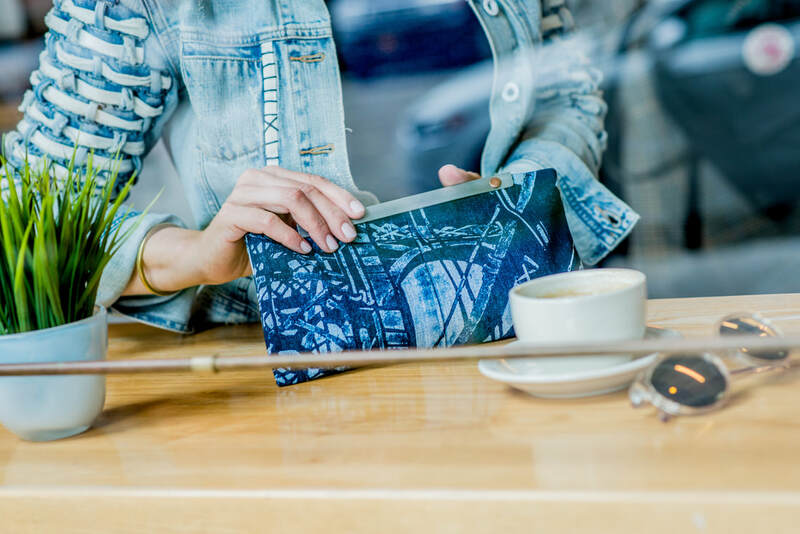 Each piece is designed and printed one by one by artist Holly E Brown in Brooklyn, NY and manufactured in the heart of ​NYC’s Garment District. 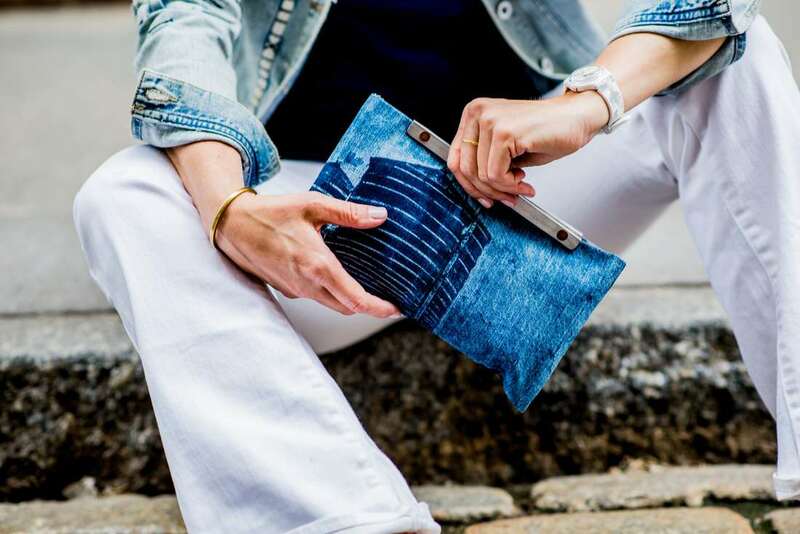 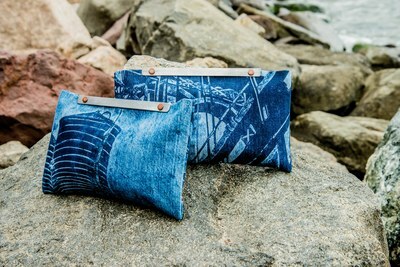 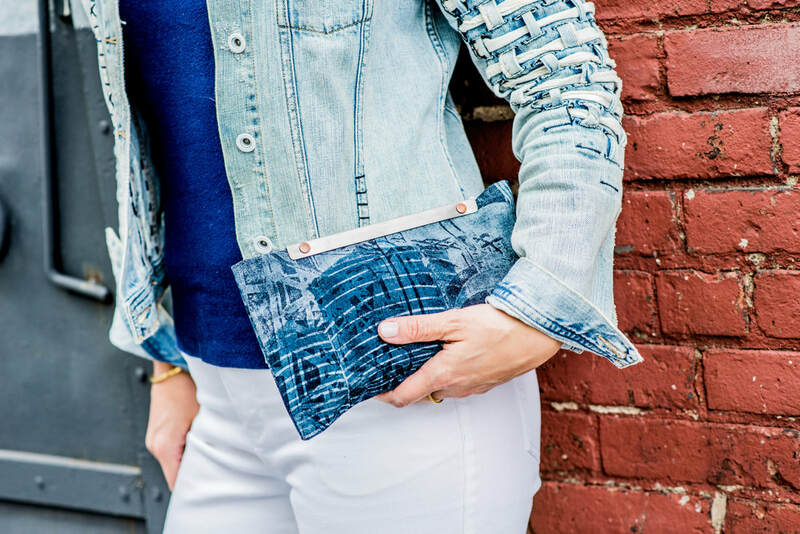 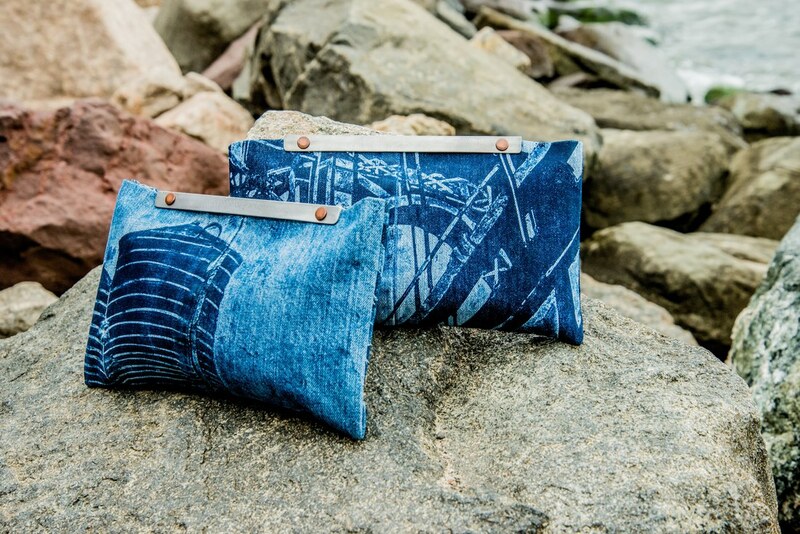 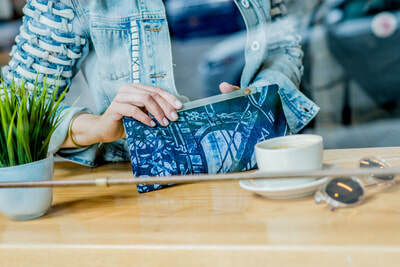 The denim clutch is the first wearable piece by Clockworks Press®.